I think you should be as well dressed as your home (and vice versa). Today I’m turning to Kristen Uekermann of The Boston Fashionista for a little fashion inspiration. Kristen puts together an outfit like no other, and is someone I dream of swapping wardrobes with. I always hop over to her blog when I’m in need of outfit ideas. She combines unique pieces that come together in a natural and totally wearable way. Today I’m taking a fresh look at some of her past ensembles and matching them with beautiful interiors. Planning an outfit is just like pulling together a room. You have to consider how colors, patterns and textures will play off of each other and what combinations will look best as a whole. 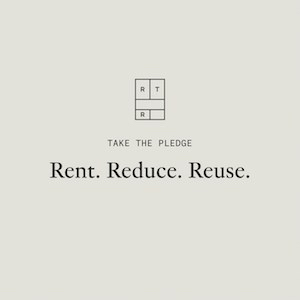 The design principles used in the fashion and interior design intersect and it’s fun to find similarities. Neon has been huge in the past year. Although it’s a little easier to embrace the trend by adding a piece into an outfit, a pop of color in your space can be just as fun. 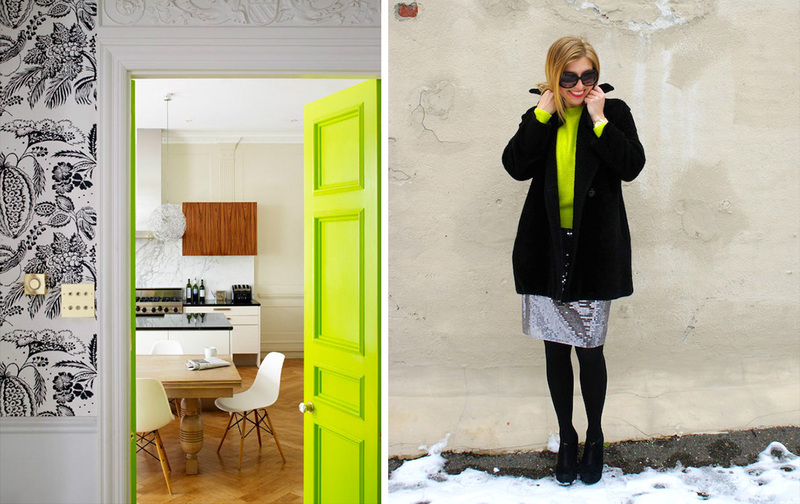 This neon green door is one of my favorite examples and it’s beautifully balanced by the bold wallpaper pattern. For some reason I can’t quite explain, I’ve always been drawn to animal print. I think it works well in small doses and I love the touch of print on Kristen’s bag and also on the mirror frame on the mantel. There’s some nice pattern harmony going on in both images (Kristen’s blouse and bag, and the carpet and mirror frame). If you’re looking for more outfit loveliness I suggest you hop over to Kristen’s blog or give her a follow on twitter. Which is your favorite outfit/interior combo? Perfect pairings! Kristen has fabulous style! Agreed! What a stylish lady! This is such a unique idea for a post! Love how it turned out. What’s funny is that I have a TERRIBLE for interior decorating. This is fabulous, what a fantastic idea for a post! You matched them so well! Thank you so much! The pairings ended up being so much fun….will definitely think about doing it again. I refuse to believe Kristen has no eye for interior decor. Simply refuse. That is because neither of you have been to my apartment (we should remedy this situation). You’d see that my decor ideas center around “gather all the cat toys into one corner, keep many pillows on chaise for napping”. That’s all I got! 🙂 Anyway, love this post, Becky! I’m with ya on this one Noelani! Great post. 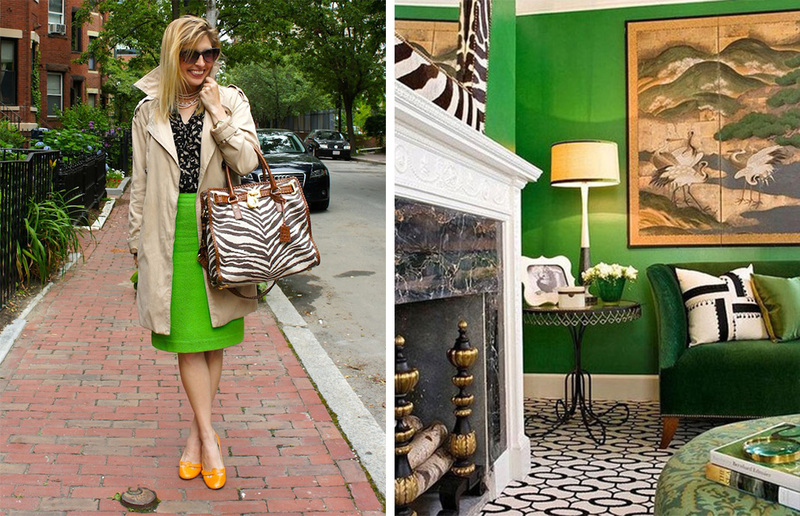 Combining my two loves: Interior Decorating and the Boston Fashionista! Awesome post, Becky! You’re on a roll!